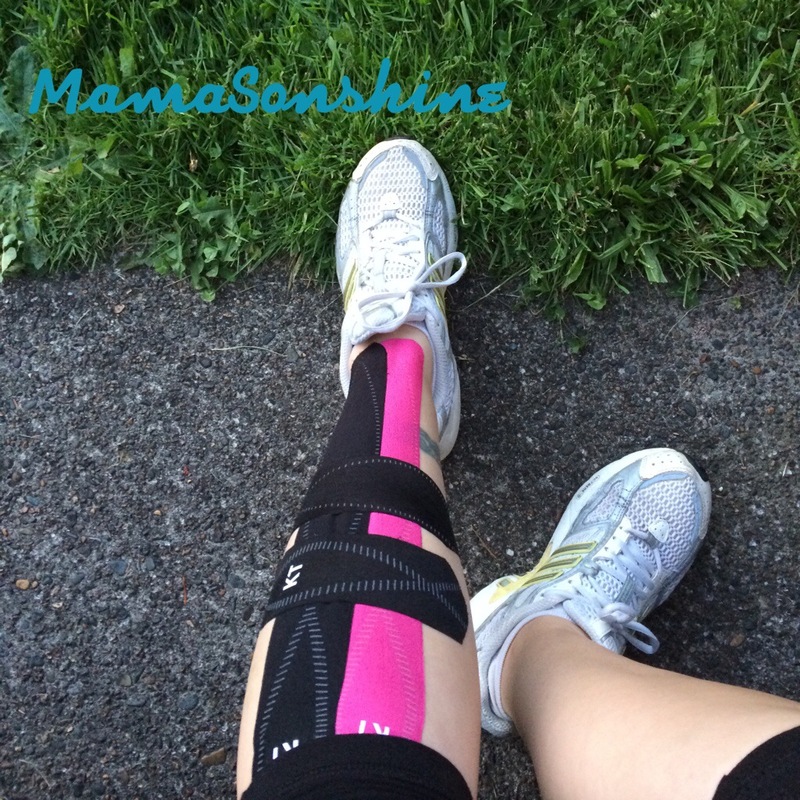 My last running log talked about how I think I have shin splints and it is slowing me down. So let’s take a minute and talk about shin splints. Shin splints are a common injury in the lower leg. It affects the muscles & tendons attached to the tibia, the medial (inner) leg bone. Shine splits, , also called medial tibial stress syndrome, is kind of a general term for multiple injuries that involve the lower leg. The underlying cause could be micro tears in the muscle that is pulled off the bone, inflammation of the muscle, inflammation of the periosteum (a thin sheath of tissue surrounding the tibia), or all of the above. They can also be caused by stress fractures of the tibia, but that gives you slightly different symptoms, and is a much more serious injury. If you suspect this is the cause of your leg pain, please seek medical attention. Here’s the kicker. The best treatment for shine splints by not running, or at least decrease training. Did you hear that? How am I supposed to train for a half marathon if I don’t run? Whatever. I’m probably not going to do that. One way to combat shine splints is to strengthen your lower leg muscles and stretch them out. While sitting extend your leg and trace the alphabet with your toes, repeat on the other leg, this will help strengthen your muscles. If you run on hard surfaces, like the road or treadmill (guilty) switch to a track or trail. The soft uneven ground will strengthen the lower leg muscles and provides a cushion for your pounding feet. Cross training also helps you stay active and allows for healing, replace running with a bike or swimming once or twice a week. Make sure your running shoes are not worn out, and fit properly. The other thing that is recommended is to tape your shin or use a compression sleeve/socks. What are my plans to recover and prevent shin splints? I am going to get a new pair of shoes. I am going to go to a running store and the experts there will help me find the right fit for my feet and running style. I added a long trail run to my week. Once a week my cousin (whom I running the half with) and I will run on a trail gradually increasing our distance. Last Sunday we ran 6 miles. Of course I took a few walking breaks, but short ones, which meant I then and to catch up to her. I am replacing at least one run with riding a bike at the gym, because I don’t own a real bike. Last night I was able to ride 16 miles in an hour. Although the seat was horribly uncomfortable and I don’t think I really fit well on that machine. I don’t think I got as good a cardio workout as I do with running, but my legs worked hard. But the major thing I am doing is taping. I am still a bit of a skeptic, but I figured it won’t hurt. I went out and purchased some KT tape to tape my leg up. The KT stands for kinesiology therapeutic tape, and is a brand of tape. There is some debate if taping or compression sleeves/clothes work, but that is a topic for another day. I am not going to swear by it yet, but I have had less pain this week. I first used in on Thursday last week, Sid helped me tape my leg, and used the packaging to try and tape his. He was very helpful. I was able to get through over 3 miles of jogging and 1.5 miles of sprint intervals with minimal pain. I took the next two days off (due to a very busy schedule) and ran six miles on Sunday (on the trail), four miles on Tuesday and rode 16 miles on the bike last night. I keep my leg taped for 24-48 hours, and apply the tape at least an hour or two prior to activity. The company claims you can wear it for a week, but I find that it starts to lift after a day or two, plus I can’t shave my legs with it on. It’s kind of bold and a little ‘hey look at me’ which causes people to ask me about it, so I don’t really like to wear it that long. However it is expensive and I don’t want use 2-3 strips everyday, so I leave it on. I am going to look into a compression sleeve, because that is reusable and easy to slip on. Trigger point therapy can also help with shin splints but I have not really tried it yet. I found this video on Another Mother Runner’s blog, so I am trying to do what she recommends. But I don’t really have two trigger point balls to attempt the release properly. What I haven’t tried and I am not sure I will is ice. I hate ice. I loath being cold and the thought of icing my leg sounds horrendous. I have attempted icing things in the past, but could never do it. Categories: Fitness, Health, Run | Tags: Athletic shoe, Athletics, Couch 2 10K, Couch 2 5K, Couch to 10K, Couch to 5K, Elastic therapeutic tape, Events, Half marathon, How to keep running, KT Tape, Leg Pain, Long run and short run, Lower Leg Pain, Marathon, Muscle, Pain, Recreation and Sports, Run, Running, running inspiration, Running Log, Running Motivation, shin splint, Shin Splint Recovery, Shin Splints, Sports, Taping Shin Splints, Tibia, Trail running, Training | Permalink.